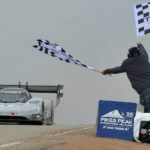 The excitement over the rebirth of the DeLorean sports car, in between 88 miles per hour jokes, is news that the chassis and battery pack will be built by Aptera alum companies Epic Electric Vehicles and Flux Power. Like an 88 miles/hr bolt of lightning from the past, DeLorean Motor Company has promised the Electric DeLorean for 2013. And it’ll be sporting a composite frame manufactured by Epic Electric Vehicles. Last fall news from the reborn DeLorean Motor Company caught our attention, an all new DeLorean car and this time it’s electric. 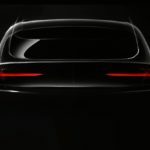 DMC is promising the DMC-12 will have a 260 HP electric motor, a 120 miles/hr top speed, a 0-60 time of 4.9 seconds, a single speed transmission, a battery pack from FluxPower, a 100+ mile range in city driving, and a high power 70 amps on-board charger for fast recharge times. The current DeLorean Motor Company bought the DeLorean brand name in the 90’s and has been refurbishing used DeLorean cars ever since. 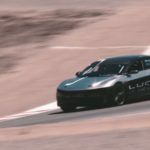 Epic EV specializes in manufacturing vehicles using composite materials, a technique that is widely used in airplanes but not in cars. Composite materials have a huge weight and strength advantage over metal, which in theory should make for sturdier and safer vehicles. The recently demised Aptera also designed their vehicles using composite materials, and it just so happens that Epic EV was founded by former employees of Aptera. It also just so happens that Flux Power, the battery supplier for the DMC-12, was also founded by former employees of Aptera. 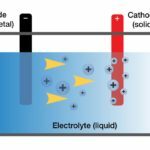 A few years ago a management shakeup at Aptera resulted in several senior people (some were Aptera founders) being ejected from that company, and they went on to separately form Epic EV, which initially focused on electric boats made from composites, and Flux Power, which focused on designing and building battery packs. Those of us who were fans of Aptera can take heart the legacy of that company could live on in Epic EV, Flux Power, and now the Electric DeLorean. The DMC-12 chassis is 200 pounds lighter than the original DeLorean chassis, and stronger. Lighter and safer are both good attributes for a high speed electric car like this. 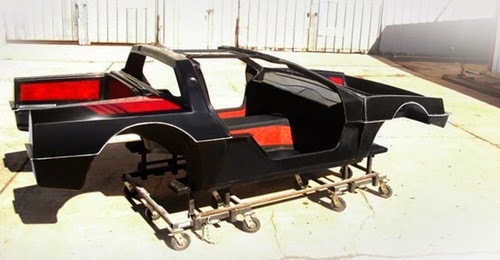 Additionally to the chassis being used for the electric DMC-12 due in 2013, existing gasoline powered DeLorean’s can be retrofitted to use this chassis as well.